It’s clear that The Mooseman developer Morteshka had a lot of other games on their mind when they made their short, atmospheric puzzler starring the titular Mooseman. 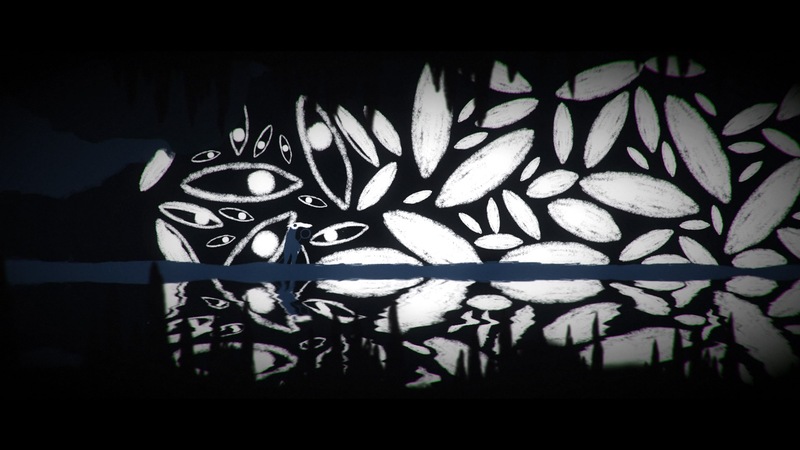 The color palette of the 2D artwork is mostly grayscale, like Limbo. The creatures that the Mooseman has to defeat are eerie folktale remnants who rise out of the depths of the snow or the ocean, like Year Walk. And the way to propel the Mooseman forward is to manipulate the elements of his environment, like Braid. However, The Mooseman is a lot more than a hodgepodge of indie influences. It’s a quick but memorable journey through Finno-Ugric mythology, in which the moose is a holy animal and the Mooseman uses the moose’s power to see the true nature of everything around him. As the Mooseman, you journey through the three worlds that make up the universe, as depicted by the beliefs of those who once lived in the northernmost stretches of Russia, Sweden, and Norway. The art, which is inspired by ancient artifacts of these people, is muted but effective. The soundtrack – equal parts tinkling synth, flute, and original choral pieces – is superb. While the puzzles don’t provide much of a diversion, they’re not the whole point. The point is understanding the power and struggle of the Mooseman, which you will after 2 or 3 hours of gameplay. The focus of The Mooseman is mythology, and the game provides plenty of chances for the player to dig deep into the lore of the Perm Chud tribe. When the game starts, a myth index is available but written in Komi-Permyak, the language of Perm Krai of Russia. As you progress, lighting a series of tokens, entries are translated into English. These entries and and the occasional voiceover (in Komi-Permyak with subtitles in English) explain the world the Mooseman lives in. In other games, an over-reliance on lore means frustration for the player. Here, though, the small tidbits and gradual reveal of the Perm Chud mythology make the story manageable. The game’s mechanics are simple. You begin the game as a normal man, but you put on a moose skull mask which lets you see creatures and obstacles that you couldn’t see before. Many of The Mooseman’s puzzles involve toggling back and forth between moose sight and regular sight, moving through the two layers of the game while dodging massive bears, violent spirits, and spiders bigger than Shelob. The mechanic works well, but since the game doesn’t tell you how to put on your moose mask, and because opening certain menus also toggles the mask, I spent the first section of the game confused about which button actually mapped to the control. That minor issue is part of a larger complaint with the way The Mooseman feels on PS4. It’s difficult to move through the game’s long, text-heavy indices, and I get the feeling that the button combinations weren’t tested that well in the PlayStation port. Some puzzles require finely-tuned moves, but when I couldn’t get them right, I resorted to unsatisfying button-mashing. And, as anyone will tell you, button-mashing is about as fun as trying to use a controller with your feet. 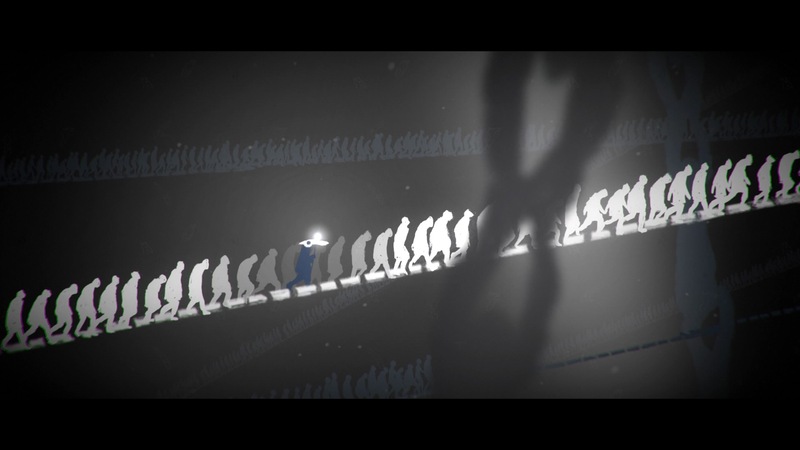 The easy puzzles also mean that the game’s triumphant, gorgeous ending doesn’t necessarily feel earned. Hard-core puzzle fans can start over and hunt for all the pieces of tribal art that Morteshka’s designers stashed in each level. However, by that point, they’ll already understand who the Mooseman is and why his journey is so important. I wish the game’s stakes had increased alongside urgency of the Mooseman’s story. Fortunately, those optional puzzles carry their own draw: each artifact is a symbol of the Mooseman’s culture. All of them are representations of real carvings and paintings. Once you find a piece of art, you can flip to the index to read about the subject matter, the time period, and where the piece was found. The added context means that tracking down the artifacts never feels like simple achievement hunting. A moose of a different colour. 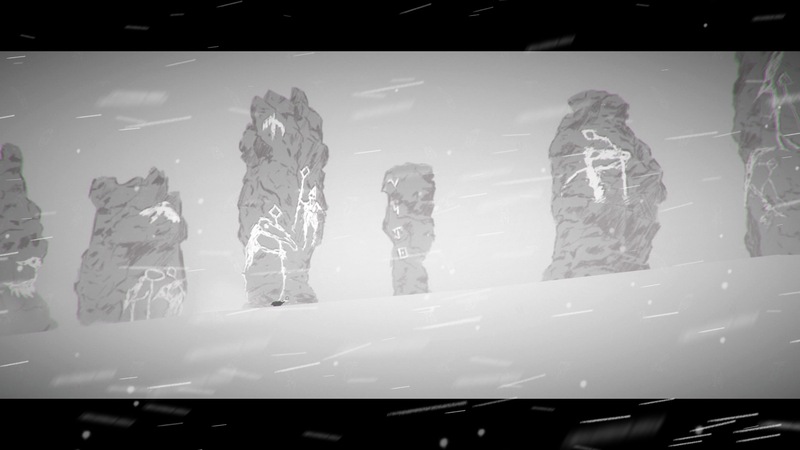 Unlike many other 2D games with mostly black-and-white art, The Mooseman’s graphics stand out. Morteshka’s artists use a simple color palette to startling effect, and the dark, thick lines resemble charcoal sketches. The result: the game looks like a Miyazaki movie crossed with ancient cave paintings. Audio-wise, The Mooseman keeps it tight, with low, eerie beats and sparse ambient sounds. Sometimes, though, the soundtrack breaks open into gorgeous choral arrangements performed by the student choir of Perm Krai College of Arts and Culture. These moments made the hair on my arms stand up. If you like short, mysterious dives into folklore, don’t sleep on The Mooseman (or its soundtrack). It’s engaging, but never challenging, placing story and worldbuilding above all else. The mechanics and level building aren’t the best, but some of the game’s bonus content makes up for those missteps. Ultimately, Morteshka’s treatment of Perm Chud mythology makes me excited to see what the young studio does next. DISCLAIMER: Code for The Mooseman was provided by the publisher. The opinions expressed in the article above have not be affected by, dictated or edited in any way by the provider. For more information please see Girls on Games’ Code of Journalistic Ethics.